We provide workshops and support for conscious entrepreneurial initiatives. InnoCamp, our kick-off social impact bootcamp, ran in Budapest in 2015. We created a space for participants to discover how to turn social issues around and solve them as entrepreneurs. 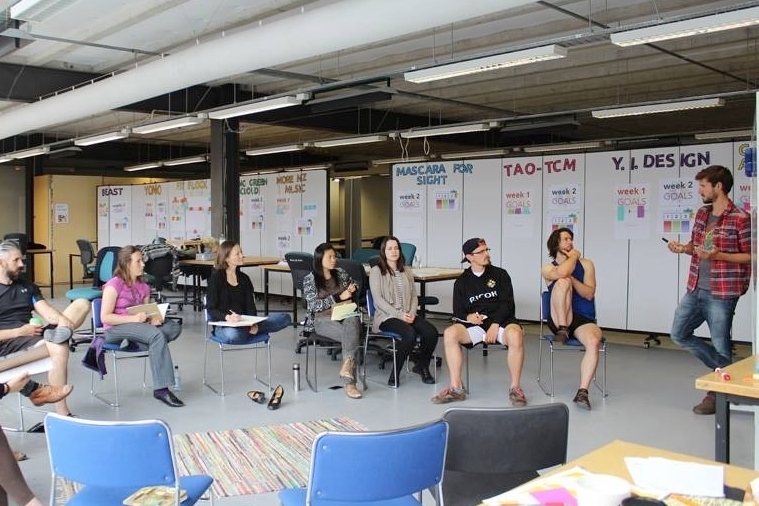 Live The Dream is a 10-week long social business incubation program that is running simultaneously in Auckland, Wellington and Christchurch. We have contributed to the program with process design, facilitation and venture coaching. Enspiral is a global network of entrepreneurs working on staff that matters. They are a huge inspiration for us! With the open.enspiral workshop we have given people context, tools and best-practices on operating in an open participatory systems. At the first Brain Bar Budapest we worked with the participants and their ideas emerged on the conference. Collaborating with Unreasonable Institute and Impact Hub Budapest we have shown the participants the potential of social entrepreneurship. We are working closely with Engame Academy to help their 15-18 year old students to demystify entrepreneurship and social awareness. Embracing failure is important on the journey of becoming an entrepreneur. We helped organising the first Fuckup Nights in Budapest, an event to listen to a couple of successful entrepreneurs sharing their failures. At the Global Social Business Summit we explored how to use tools that leads to the success of social business to decrease refugees' risk of poverty and unemployment in Berlin, Germany. We have contributed to a 2-day multi-stakeholder workshop under the guidance of Ron Garan (NASA astronaut) and the Yunnus Foundation. We brought the first Art of Hosting Training to the Central European Region. Throughout the 4-day workshop we have discovered an approach to leadership that scales up from the personal to the systemic using personal practice, dialogue, facilitation and the co-creation of innovation to address complex challenges that we face in the world today. Bánkitó Fesztivál is famous for taking a stand on recent social issues and organising programs to better understand them. We have organised a number of discussion on how entrepreneurship should be implemented in the non-profit sector.